Hope you all are having a relaxed long weekend 🙂 I had a trip planned but it got cancelled because of the weather here, so I have been having some much deserved me time 😉 Anyway let’s get on to the product I am reviewing today. It’s quite an old and popular player in the international beauty market. It is the Covergirl Professional Loose powder in the shade Translucent medium. This silky-fine loose powder makeup gives you a smooth and beautiful look and works to help keep foundation looking just right. For a beautiful finish, and a soft, translucent look, this is one powder that’s a real pro. This Powder comes in 5 shades – Translucent Light, Translucent Medium, Translucent Tawny, Translucent Honey and Translucent Fair. 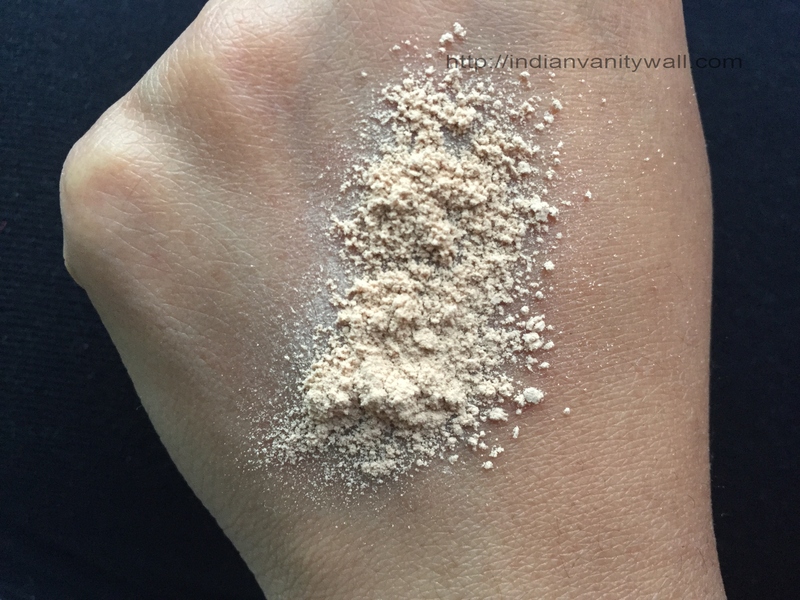 Tap a small amount of loose powder into the lid of your Professional Loose Powder. Dip a large powder brush into the lid and tap off any excess powder. Sweep a light finish of powder all over your face, repeating until desired effect is achieved. Or you could make use of the puff provided. For that, hold the sealed box upside down. This will allow the powder to settle onto the puff. Straighten the box and tap off the excess powder from the puff. Sweep it over the face. The Covergirl professional loose powder is my first ever loose powder. I always rely on pressed powder which is so much easier to use and is fuss free to take anywhere with you. However, for a long time I had wanted to try the loose powder variety. 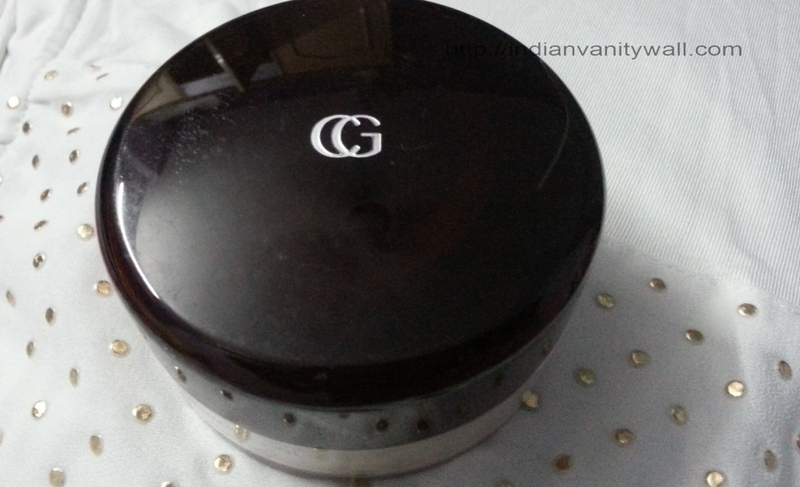 It comes in this sturdy transparent jar with a brown semi plastic lid having the signature Covergirl logo. 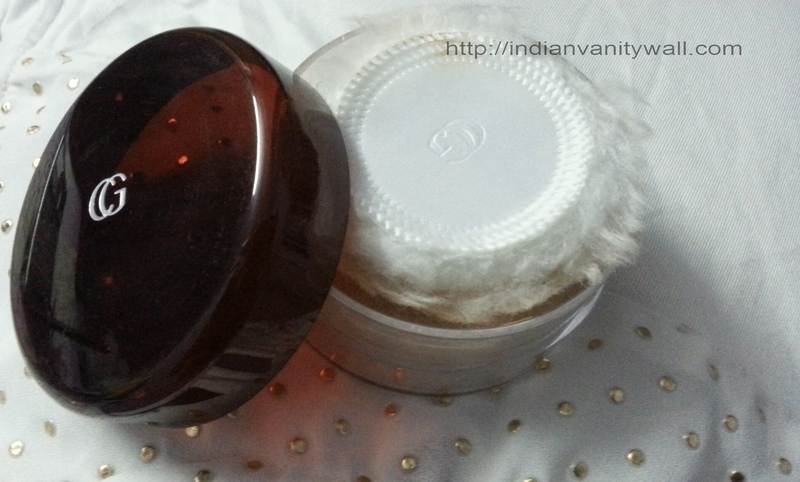 Inside the jar, there is a usual sifter that controls the amount of product. Also present inside is a feather light super soft white colored puff. As the puff sits face down on the sieve, the surface collects some amount of the product. However this is not a problem as we can tap off the excess without any case of over application of product. But if you carry this with you in your makeup bag, the puff is going to collect too much of the product and it is not a good sight!! There is possibility of being a little heavy handed if you use the puff. To avoid this use a powder brush instead. I personally feel that a powder brush gives better control of the product. 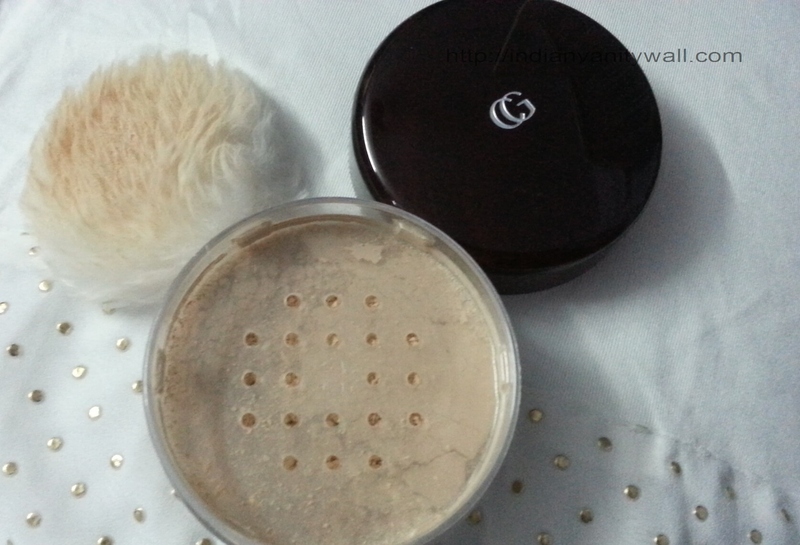 The powder is extremely fine textured and feels silky soft on the skin. It blends into the skin like a dream without appearing cakey at all. There are no patchy or uneven areas which are sometimes observed with compacts. It evens out the skin tone giving a perfect matte finish. Translucent Medium is a neutral shade which blends well with light to medium skin tones. Those with deeper skin tone should go for the next shade i.e Honey. It has a strong herb + talc like fragrance that might be heavy for some. The positive is once you apply the product, it goes away. 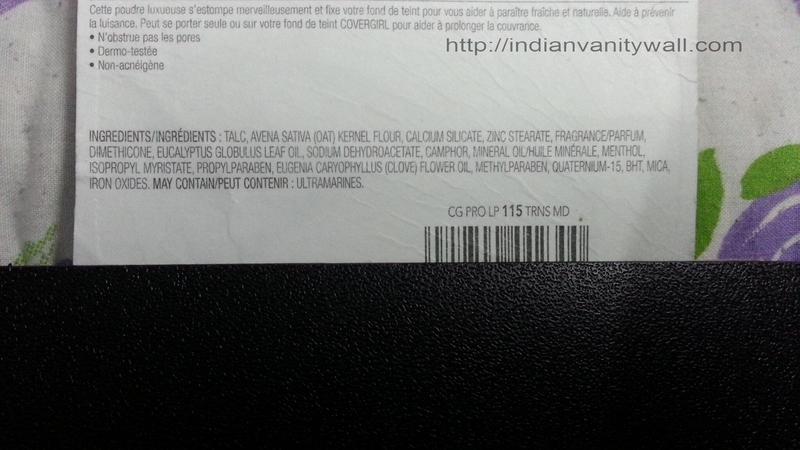 This product lives upto its claim of being non-acnegenic as it hasn’t broken me out till now. It also shows spectacular oil control. On my combination skin with slight oily T-zone, this lasts me about 5 hours in an A/C and about 3 hours in a non A/C environment after which I need a touch up. As far as the price is concerned, this one is a steal priced at approximately 380 INR. Let me know what you guys think of this Covergirl Professional loose powder. Yay or Nay? That’s cool Poo..you should test it out. On your dry skin, this should perform way better! 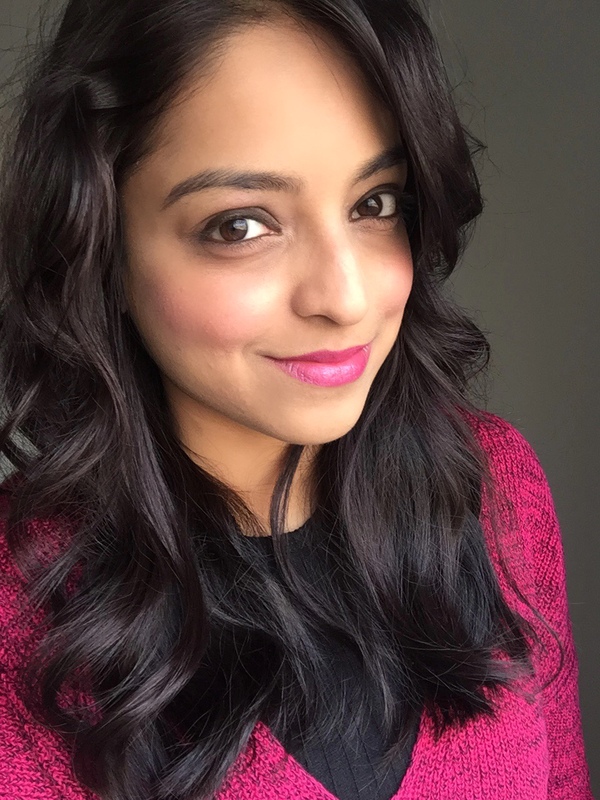 krithi recently posted…In my Pink Blazer Dreams !!! i need to get one loose powder… i think using it with brush will collect lesser amount 🙂 nice review.. 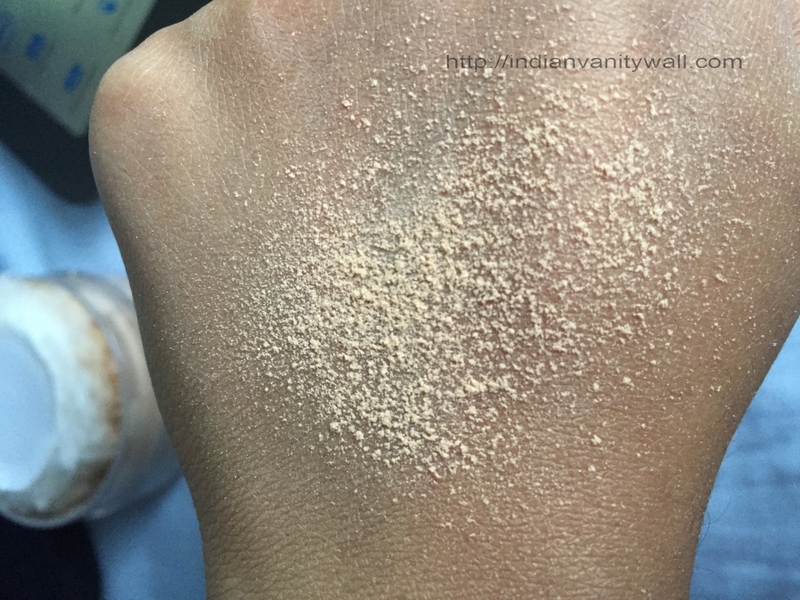 I don’t usually use powders because of my dry skin. I wish it was fragrance free to be honest. Great review babe! Thanks Simera, fragrance might get really off putting to some!